At times the iPhone might not be working as expected and it is all due to the fact that there are minor glitches. The issues which are related to the volume of the iPhone are the ones which can be resolved with ease. To make sure that the iPhone volume problems are resolved there are several processes which can be applied. If you are facing volume on iPhone 6 not working issues then it is advised to read this article till the end. To make sure that the iPhone related voice issues are resolved then it is advised to, first of all, analyze the problem before moving forward. Below are the top 5 problems which you can face when it comes to iPhone volume. 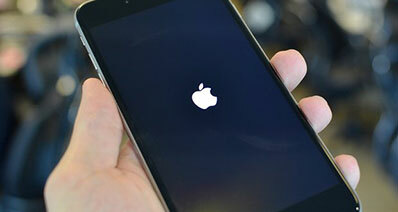 It is one of the most common issues which iPhone users face. 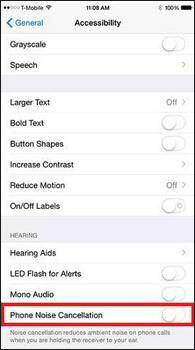 To fix iPhone 6 volume problem it is advised to make sure that the mute button is not activated. Before you move forward to the software based issue you should get the hardware checked so that the issue is resolved ASAP. This issue is frequent and one should not freak out. The mute button is on the volume button side. If it slides up and you can see the red marker then the iPhone is mute. To fix iPhone 6 volume problem just slide it down to get the problem resolved. It is another common issue which leads to a subjected problem. The fact of the matter is that the iPhone is a multimedia hub for the users. If the music cannot be heard then it is surely a problem which can lead to even phone change. Again if you are tech savvy then the issue is not a major one. Contrary to this you can still fix iPhone 6 volume problem. You just need to check if Do Not Disturb option is on. Just head to Settings > Do Not Disturb > toggle off if on. It is one of the problems which can be very frustrating. 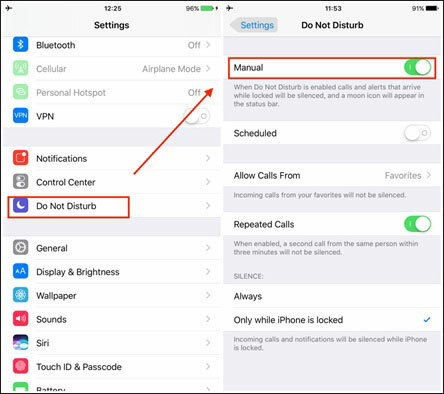 To fix iPhone 6 volume problem it is therefore advised to make sure that the volume cancellation is turned off. 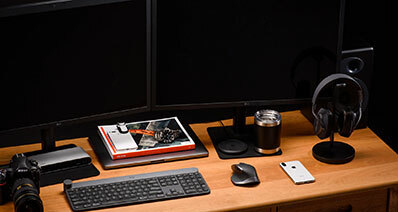 This is relatively a tech-based process which you should always follow to get the work done. It is really bad when you ask the others to repeat what they are saying. Following the path as mentioned will get the work done. Just head to Settings > General > Wide > Accessibility. There is an option of Noise Cancellation and if it is turned on the slide to turn it off. This is the best option to fix iPhone 6 volume problem. It is another problem which can drive you crazy if the proper remedy is not taken at all. 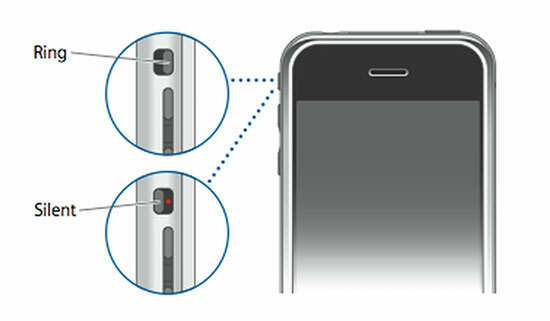 There are many devices which are related to your iPhone and can transmit the data and even sound. This can create a volume distortion which means that it needs proper fixture. You just need to make sure that the Bluetooth is turned off so that the problem is turned off. The device distance also matters and can create volume on iPhone 6, not working issues. You can also install third-party devices which can turn off the Bluetooth as soon as the work has been finished. It is advised to install such Bluetooth management system that can lead to the quick fixture. 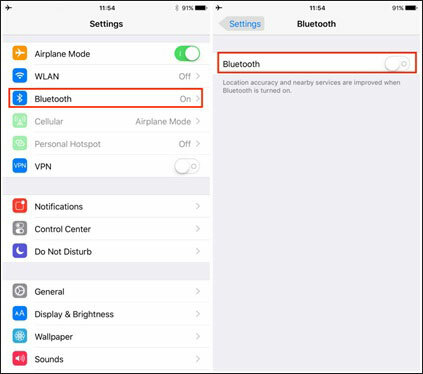 When it comes to iPhone built-in program you can fix iPhone 6 volume problem and issues by just turning off Bluetooth. Head to settings > Bluetooth > Slide to turn it off if on and trying to connect with other devices distorting sound to a great extent. 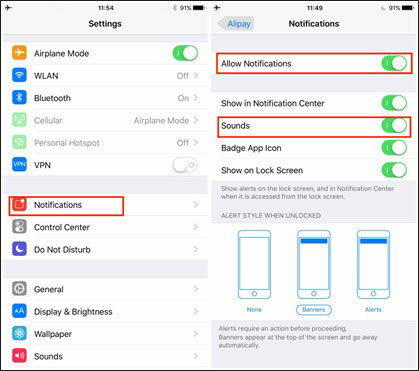 To resolve volume on iPhone 6, not a working problem related to notifications it is advised to check the notifications settings to get the problem resolved. Notification sound is very important as it lets you know that you got an important message or Facebook notification. There are two main options which you need to check. First one is “Allow Notifications” and the second one is turning all the sounds on the same screen on. This will resolve the problem when it comes to notification sounds. 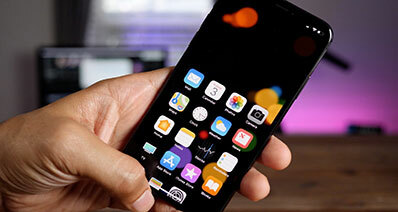 It will make sure that you get the issue of volume on iPhone 6 not working fixed in the best way without using any third party tool whatsoever. Click settings and then notifications, then slide all the buttons ON which appear on the next screen. The screenshot below explains the process in full to make sure that it is followed correctly. Note: There are many other sound related problems of iPhone 6 which you can face. Some can be resolved by visiting Apple Store while the others are resolved by applying software or hardware based solutions. The volume on iPhone 6, not working can be resolved if online forums and article like this are studied.